NBC has renewed its Tuesday night drama series "New Amsterdam" for a second season. "We've been so excited to see how much audiences have embraced Dr. Max Goodwin and all the characters that make 'New Amsterdam' such an incredibly compelling medical series," said Lisa Katz and Tracey Pakosta, Co-Presidents, Scripted Programming, NBC Entertainment. "Congratulations to David Schulner, Peter Horton, our writers and an amazing cast and crew who have brought these stories to life." Ryan Eggold, Freema Agyeman, Janet Montgomery, Jocko Sims, Anupam Kher and Tyler Labine star. "New Amsterdam" is averaging a 2.5 rating in adults 18-49 and 11.9 million viewers overall in "live plus seven day" Nielsens, making it the #2 highest-rated new scripted series of the season in 18-49 behind only "Manifest." In "live plus same day" results, "New Amsterdam" is undefeated in its Tuesday 10 p.m. ET timeslot versus regular broadcast competition, prevailing with 12 of 12 originals to date. 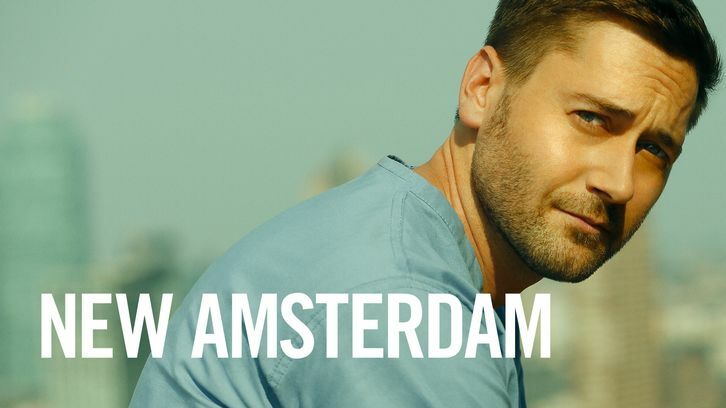 "New Amsterdam" is one of the most time-shifted shows on television, adding 5.3 million viewers going from its next-day L+SD rating to L+7 results, the season's #4 biggest lift on all of cable or broadcast. "New Amsterdam" is inspired by Dr. Eric Manheimer's memoir "Twelve Patients: Life and Death at Bellevue Hospital" and his 15 years as medical director at the hospital. David Schulner writes and executive produces. Peter Horton also executive produces. Dr. Eric Manheimer produces. Kate Dennis directed and executive produced the pilot. "New Amsterdam" is produced by Universal Television, Pico Creek Productions and Mount Moriah.